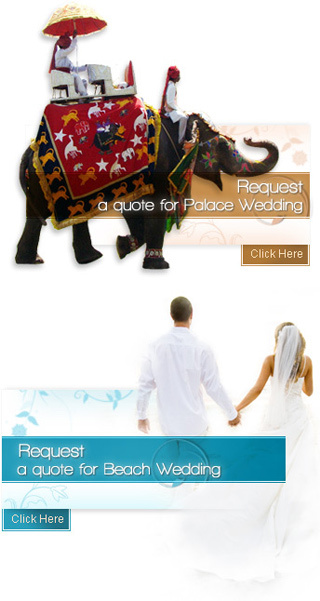 India offers a plethora of wedding customs and traditions. These wedding rituals keep varying from one religion to another. But there are people who dont want to go through all these and they decides to have a simple form of marriage to tie the nuptial knots, Arya Samaj Weddings are ideal for those. These weddings are known for their simplistic and high spiritual quotient. The Arya Samaj Weddings follow the teachings of Swami Dayanand Saraswati who is the founder of Arya Samaj. The wedding is held keeping in mind the teachings of the ancient Vedas of Hindu culture. Thus, the Arya Samaj Weddings happen only within the Hindu community. A typical Arya Samaj wedding is quite a modest one and is not characterized by extravagant ceremonies. In this type of a marriage, no particular god is worshipped but rather there is the Pooja of the elements like fire, water and others. An Arya Samaj wedding is in accordance with the Arya Marriage Validation Act XIX of 1937. The priests complete the ritual and interpret the meanings of the Vedic chants to the couple so that they are enlightened with the importance of wedding and also about living together for the lifetime. Some unique rituals are performed in the India Arya Samaj Weddings. Rituals like Madhuparka, Shilarohan, Parikrama, Pani Grahan, and others are to be observed in the Arya Samaj Weddings in India. In the Madhuparka ritual, the bride offers the groom water three times and then the groom takes the Madhuparka, which is made of curds, cream, and honey. After offering the mixture to the almighty, the groom eats the concoction. In the Panigrahan ritual, the groom holds the hands of his bride and recites mantras and promises to stay by her side in all circumstances. The highlights of the Indian Arya Samaj Weddings are many but the most important of all is the simplicity followed in this wedding. Unlike other types of weddings, this wedding is not lavish with regards to the decoration and other ceremonies. The viewing of the Polestar or the Dhruvnakshatra by the couple instills in them the ability to always stay together like the star, which remains constant in the sky.